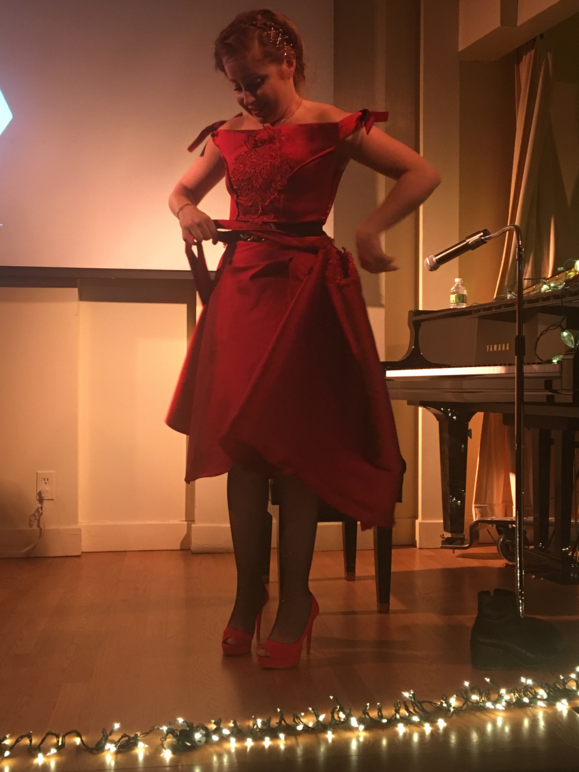 In red from head to toe, Alessandra Salerno sparkled on stage at Casa Italiana Zerilli-Marimò. 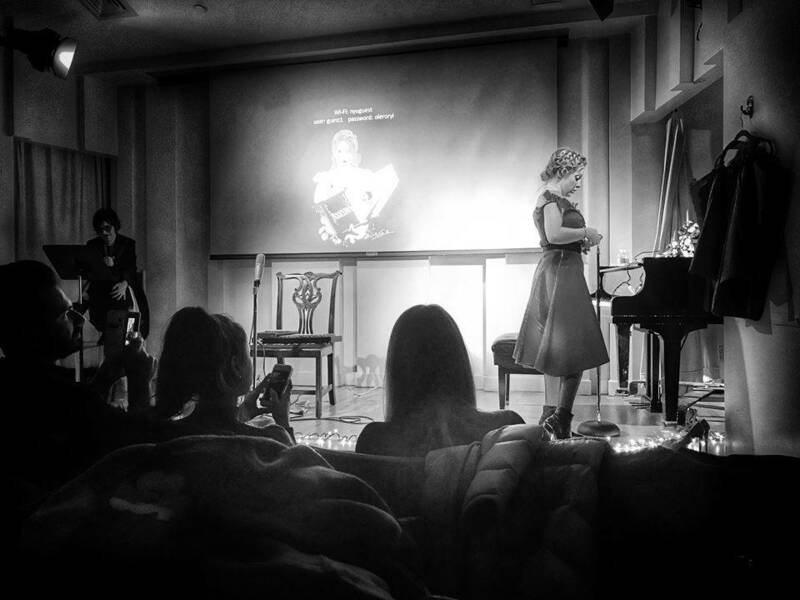 Alessandra sat humbled in front of a crowded audience that was eager to hear the songstress. 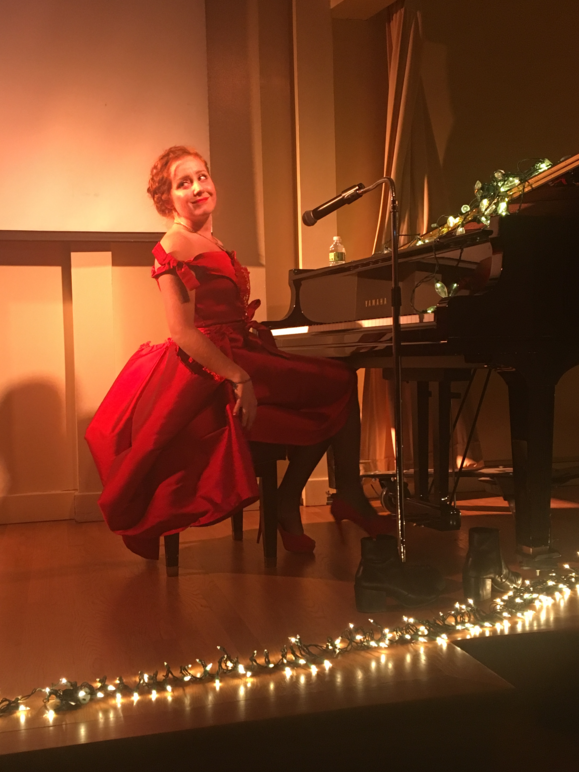 The singer, who comes all the way from Sicily, performed her solo show appropriately entitled “In the Musical Wonderland” surrounded by fairly lights in an enchanting and dreamy atmosphere. 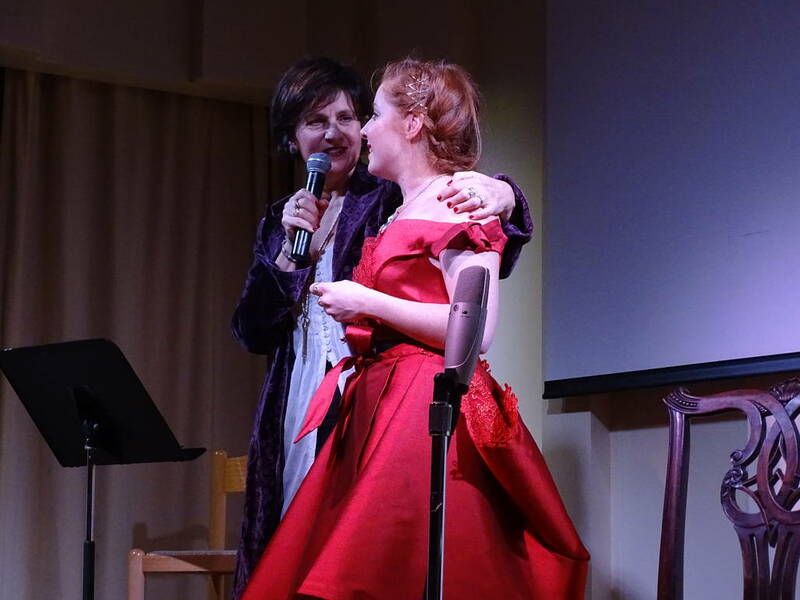 Letizia Airos interviewed the singer throughout the show captivating the audience with Alessandra’s musical story. Alessandra made her American singing debut at the annual NIAF Anniversary Gala in Washington D.C earlier in the month. Salerno shined at the Gala performing with Sicily in her heart and soul as that was the region being honored by the gala this year. Born in Palermo, Sicily, Alessandra began singing at a young age. 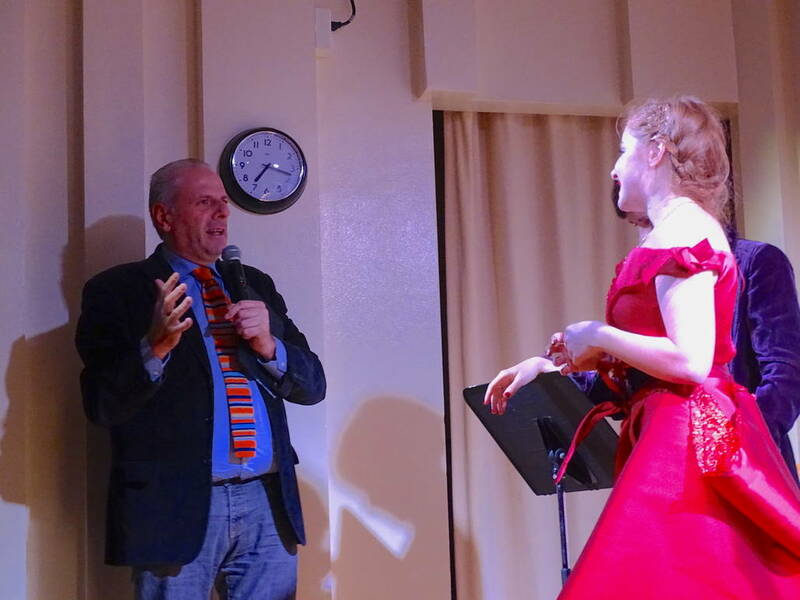 She explains how her uncle, Zio Michele, inspired her to sing and to pursue a talent that she did not know she had yet and at “every party, he asked…[her] to sing.” At the time she found it annoying because while “the other kids played,” she had to sing. Clearly, Alessandra is a creative soul, but her self-expression goes beyond singing and songwriting. She not only studied music, but fashion as well. 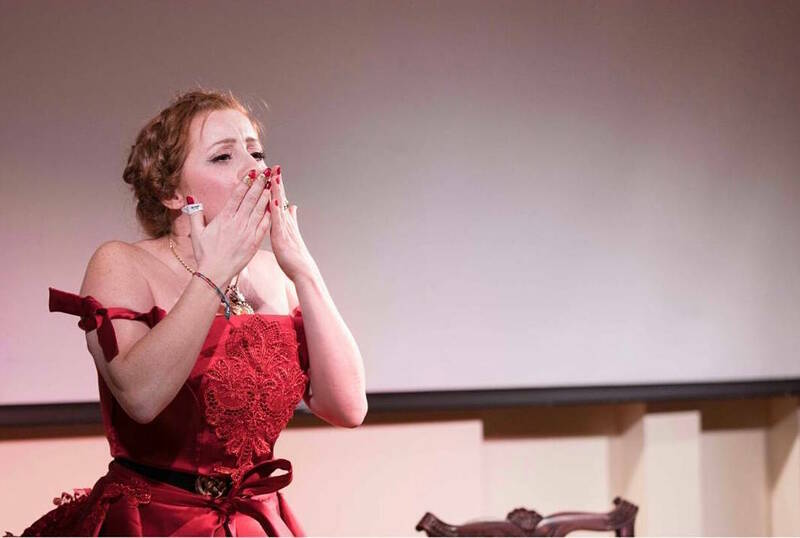 Her “passion for fashion,” as she calls it, was also included in her performance. The artist wore her own designs, and made a point of changing her outfit seamlessly to set a new tone during the show. She added an attachable red skirt to her red dress, and popped on some red high heels. Her all red ensemble perfectly represented her zeal for life, as well as compliment her fiery red hair. Alessandra’s powerful voice is mesmerizing, but that is not her only unique talent; she also plays the autoharp that she affectionately refers to as her “baby”. The autoharp is Alessandra’s signature instrument, though she can also play the piano. The singer discusses the inspirations for her distinct sound and choice of instrument. 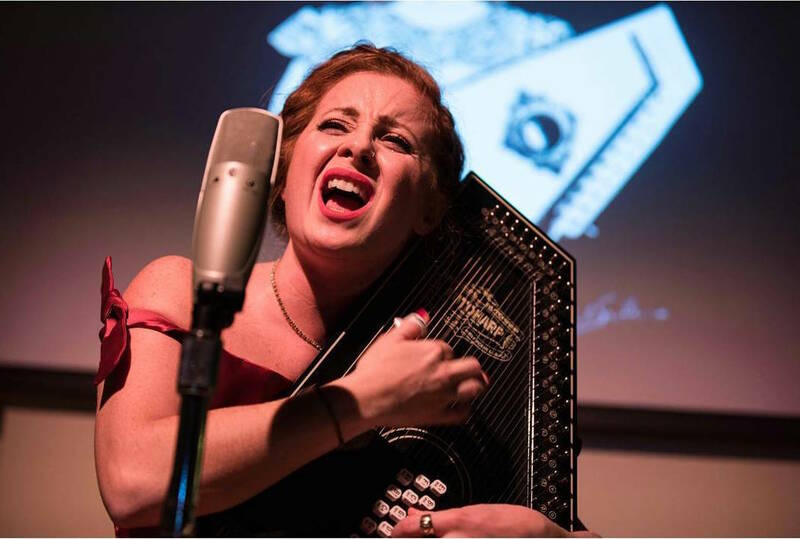 She explains that when she heard country music for the first time…[she] fell in love with” the autoharp, the iconic instrument of the country singer June Carter. The autoharp, and her love for American music and culture deeply inspired Alessandra’s musical style. The charismatic singer has a sweet and bubbly stage presence, though when she sings, Alessandra is able to effortlessly perform with the raw emotion that each song captures. Alessandra opened with the powerful Italian ballad “Caruso,” originally by Lucio Dalla, with her autoharp as it was the first song that she ever heard when she was four years old. She continued her musical story with her own acapella version of "Amazing Grace", followed by “Why” by Annie Lennox which are two songs that she loved throughout her life. She also chose to include “Creep” by Radio Head, the song that she used to audition for The Voice of Italy, and to praise the American country music that inspired her, she sang a medley as a tribute to Johnny Cash and June Carter, as well as great Italian songwriters.